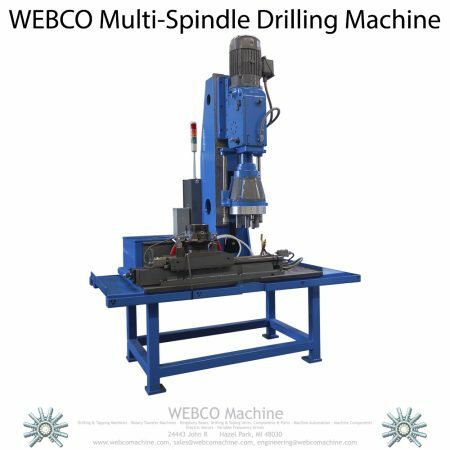 This is an example of a vertical Multiple Spindle Production Drilling Machine we built to our customers needs. 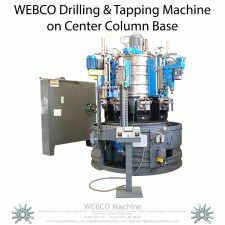 This machine also has a fixture that not only automatically opens and closes with each cycle, but slides into and out of place by 18″ for robot load. 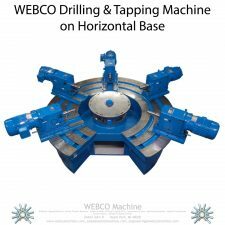 We can also build similar horizontal drilling machines. 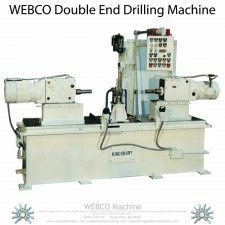 Call us at (888) 521-0269 to discuss your requirements.